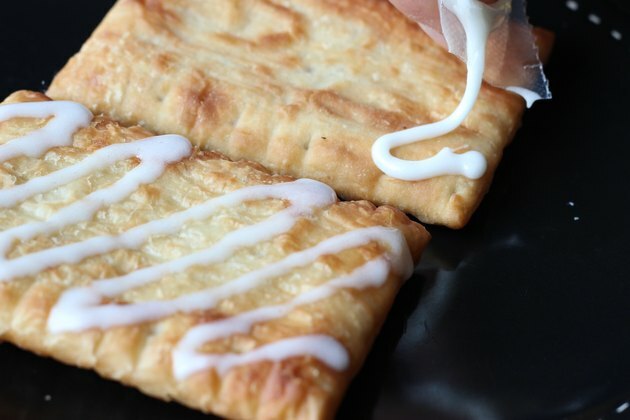 Available in your grocer's freezer section, toaster strudels combine the delectable taste of a flaky, buttery crust, paired with fruit flavoring, all finished off with a drizzle of sweet icing. Hot out of the oven, enjoying a toaster strudel is a perfect way to start your morning routine. While they can be prepared in a toaster, you can also heat them in a conventional oven or toaster oven. When heating toaster strudels in the oven, a baking sheet will stop the fruit filling from scorching your pan, should it leak from the pastry. 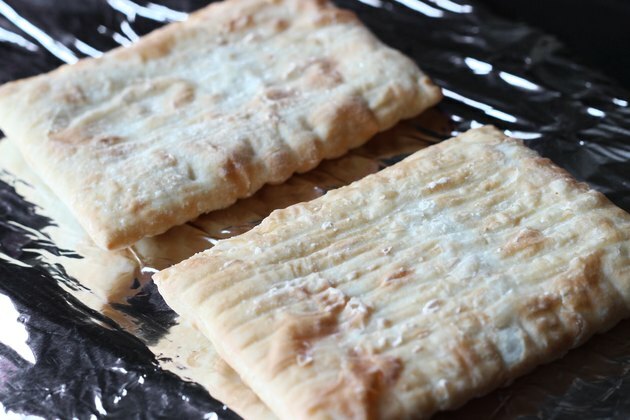 After pre-heating the oven to 375 degrees Fahrenheit, place the frozen toaster strudels on a foil-lined baking sheet. Cook the strudels for eight to 10 minutes on each side until golden-brown. Allow the pastries to cool for five minutes as the fruit filling will be extremely hot. 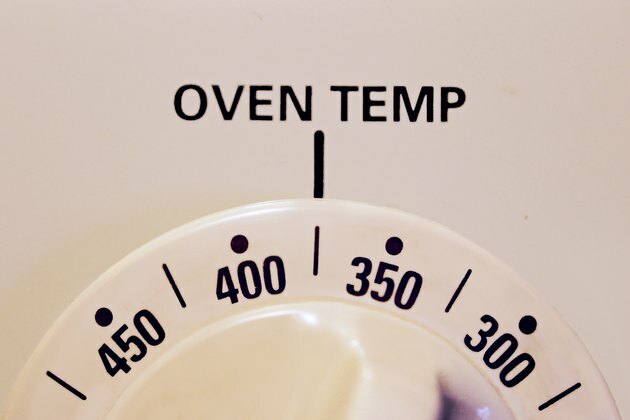 The beauty of using a toaster oven is that it is perfect for small jobs, where the oven can be saved for bigger jobs. 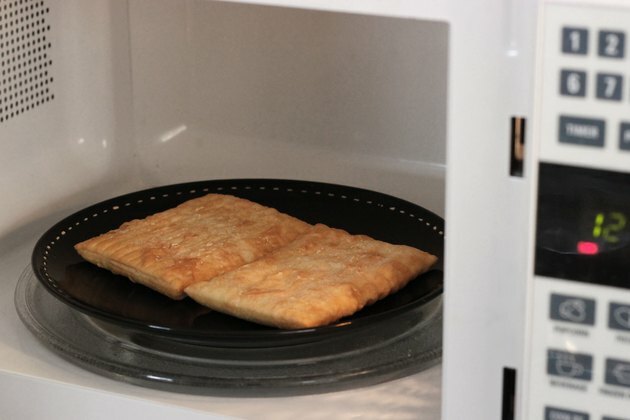 Place the frozen toaster strudels on a foil-lined toaster oven pan and toast on medium for eight to 10 minutes each side until the flaky crust has a golden-brown color. Remove and allow the pastries to cool for at least five minutes before eating. Preparing frozen toaster strudels in the microwave oven is not a good choice. Because the product is frozen and would be heated quickly in the microwave, the cooking of the pastry would be uneven. Some portions, such as the crust, may remain cold and soggy, while other components, such as the fruit filling, might become scorchingly hot. 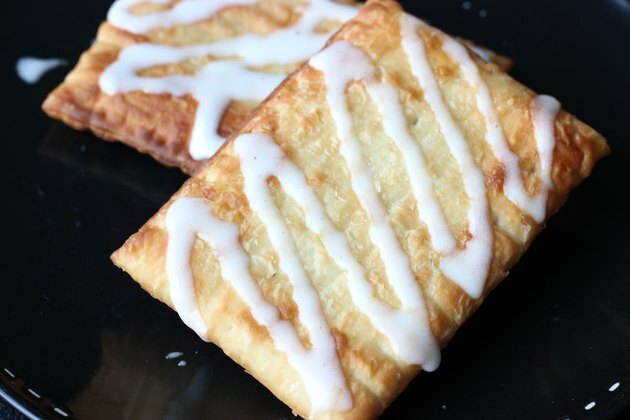 Toaster strudels are finished with a sweet icing that is drizzled over the toaster strudel once it has been heated thoroughly. Simply cut the corner of the icing packet and drizzle the glaze across the strudel, working from top to bottom. Don't worry about heating the glaze separately as the heat from the strudel will warm the glaze before your enjoy your first bite.